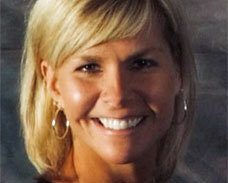 Colleen has been a group fitness instructor for over 13 years teaching a variety of classes and methods. Fitness has been a passion of her's since she was in 8th grade and her mom dropped her off at step class. She was the youngest person in the class but fell immediately in love with fitness. Colleen is married with three boys and two Goldendoodles named Girly and Nelly.